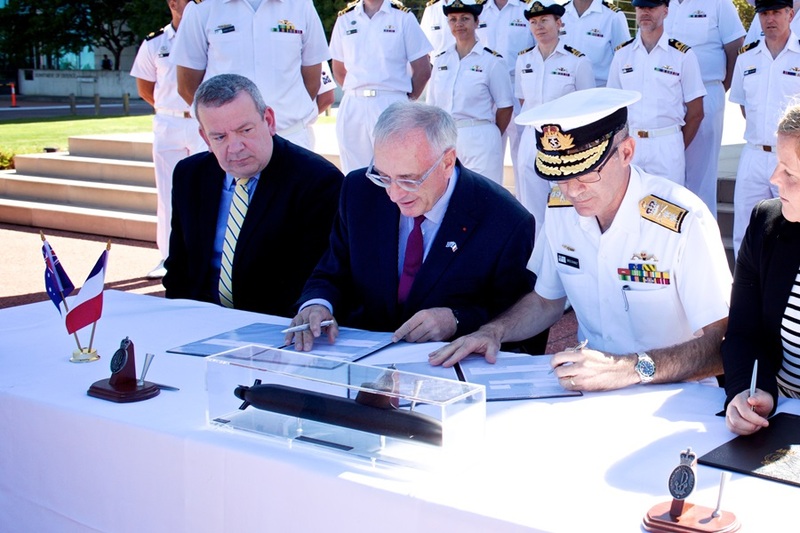 A significant milestone has been achieved today with the signing of the Future Submarine Program Strategic Partnering Agreement (SPA) by the Commonwealth of Australia (CoA) and Naval Group. opportunities and long-term planning certainty for industry, allowing Australian companies involved in the submarine program to invest in the capabilities needed to support their involvement in construction and sustainment activities. «Naval Group is known for building world-leading, technologically advanced submarines and has built 100 of them for nine different countries», said Herve Guillou, Chairman and CEO, Naval Group. «This agreement with Australia will see Naval Group transfer the «know-how» and «know-why» to Australia to become a sovereign submarine nation. We are very excited about the opportunities that lay ahead of us and are committed to delivering the Future Submarine Program for Australia. We are grateful to the teams from the Commonwealth of Australia and Naval Group who have worked hard to achieve this agreement», said Mr. Guillou. Pre-sizing of the Future Submarine has been completed. The Feasibility Study phase of the Future Submarine design contract being undertaken in France with the support of Australian engineers has been completed. This involves working closely with the Commonwealth to ensure the Future Submarine meets functionality, scheduling and cost requirements. The first sod has been turned at the Future Submarine construction yard in Adelaide. Phase 1 of the onsite works will focus on site establishment, earth works and piling for the new facilities with the development to create at least 600 jobs. Officially opened the Future Submarine Program office in Cherbourg housing Naval Group personnel alongside their Defence and Lockheed Martin Australia colleagues. Continued to work with education facilities, TAFEs and universities, having forged a collaborative engineering and research Memorandum of Understanding with the University of New South Wales. Suppliers of the top five pieces of equipment including the main motor, diesel generators, switchboards, batteries and weapons discharge systems have been reviewed and will be announced in 2019. Continue to maximise the opportunities for Australian Industry involvement in the program, through all phases, without compromising the Commonwealths requirements against capability, cost and schedule. To date Naval Group has engaged with over 1,100 Australian suppliers through expression of interests, requests for information, supplier visits and industry events to develop a in depth understanding of Australia Industry capability. 169 Australian suppliers have been pre-qualified for the program with Naval Group Australia. Released Expressions of Interests and Requests for Information for major equipment and common technologies equipment for the Future Submarine. Commenced efforts to procure capital equipment related to the Submarine Construction Yard including machining equipment, painting booths, a plate rolling machine, a plasma cutting machine, water jet cutting machine, rotating cradle and a milling machine. Conducted nine Future Submarine industry briefings across the nation providing Australian companies information on how to become involved in the Future Submarine Program. Established our headquarters in Keswick, Adelaide. Expanded the Naval Group Australia team from 15 employees to over 100. By 2028-2029, when production is in full swing, we expect to employ 1,600 people. Successfully became ISO 9001 certified.